The healing properties of Amethyst help to clear your body's energy field of all negative energies and influences, acting as an energetic shield that creates a bubble of spiritual light around your body. Amethyst stone is a cardinal element of wind. 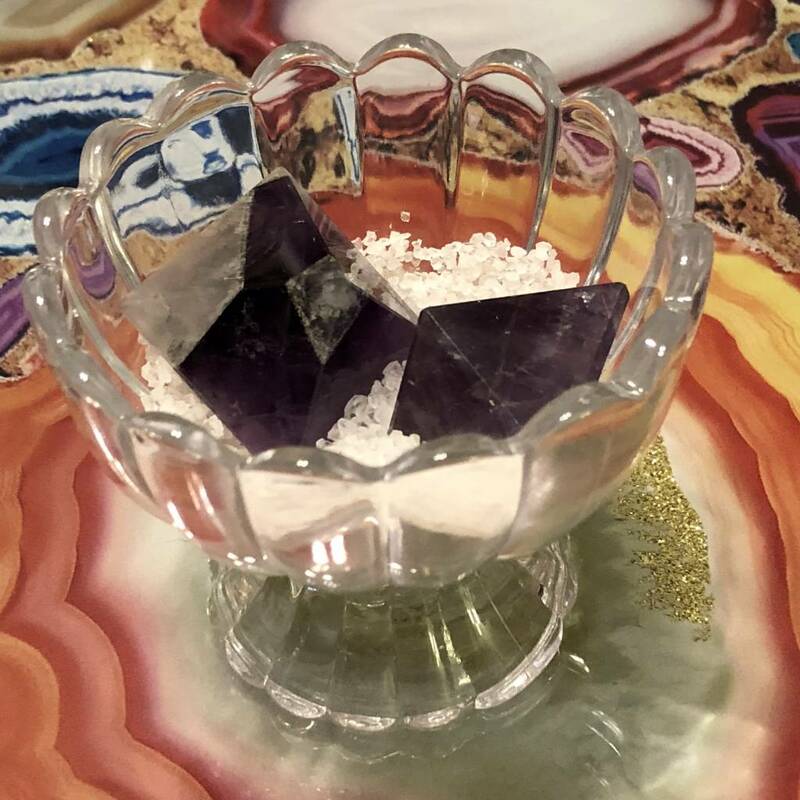 It stimulates the ability of the mind, intuitive and paranormal , making Amethyst a powerful tool for spiritual growth and cognitive understanding. 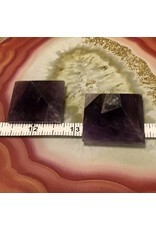 The vibration of Amethyst stimulates the higher mind and facilitates brain activity. Because of its ability to stimulate third eye chakras and the crown, and the etheric chakra, this stone is a choice for psychic opening and intuitive work. Its inherent high frequency acts as a barrier against the lower energies and adverse environments , by making a valuable tool for protecting those doing psychic or intuitive work. 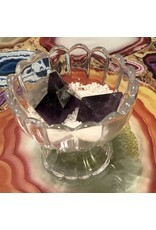 The energy of the amethyst forms a cocoon of light around us and purifying our aura. Its protective power is immense and never equaled. 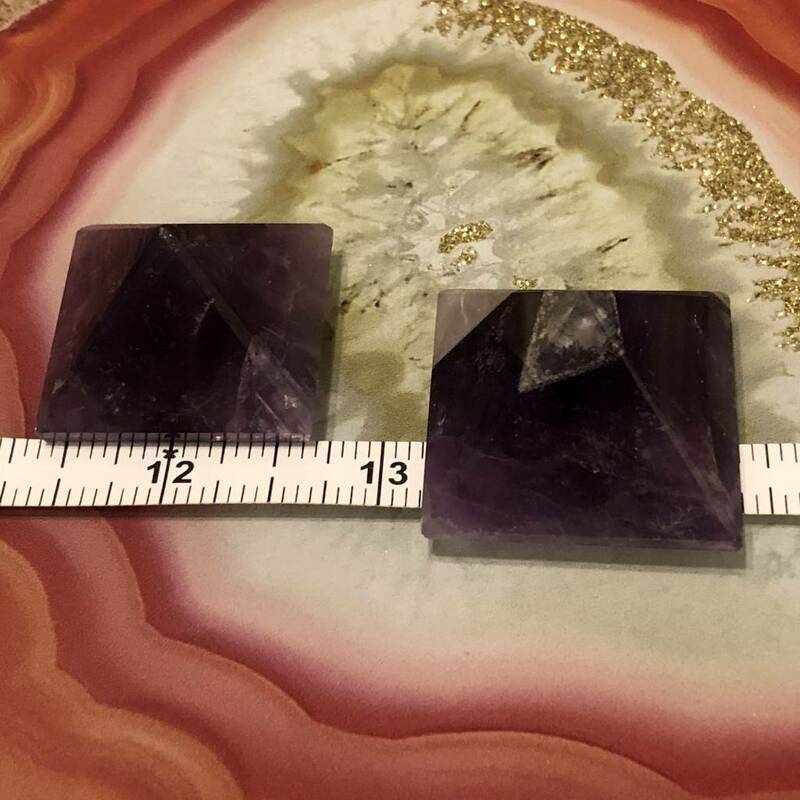 Amethyst transforms the negative into a positive . 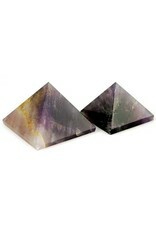 Pyramids have a powerful ability to amplify and focus the energy of our intentions. Sacred Geometry inherent in any pyramid design is what gives it the power inside. The most powerful place in a pyramid is in the center, close to the apex. It may be useful to focus your intention at this point. When working with these powerful objects be sure to keep in mind a purpose for the greater good and clear for your desires. Pyramids make them powerful allied for manifestation and for programming. They emit the properties of the material from which they are made and / or programming.